Host, reproduction, growing, care, examples of landscape design, photo and video. 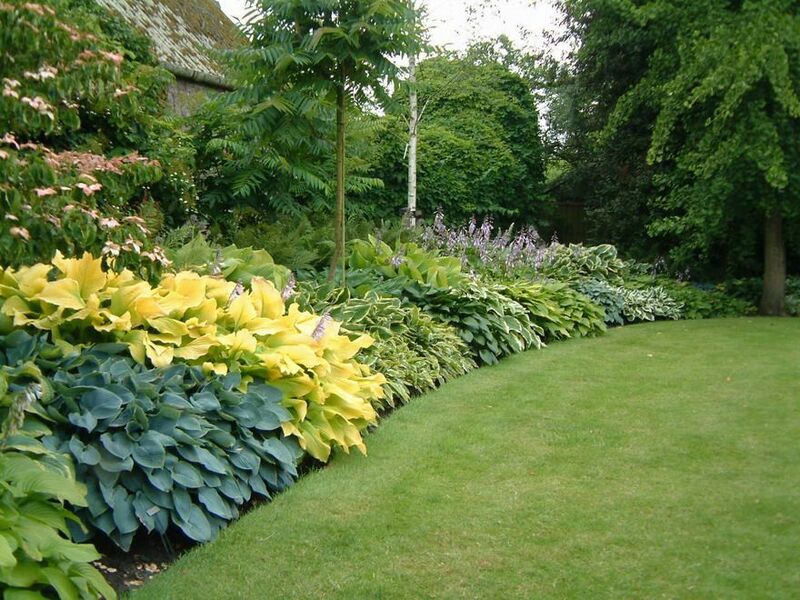 Plants, which can maintain the attractiveness throughout the season are welcome in the garden. Picky, the original host is very popular in landscape design. "Princess beds" will not only decorate the flower garden, but also a rocky hill or an artificial pond. A variety of varieties and colors is striking: the leaves may be blue and grey, green and gold, with contrasting edges and stripes. Lush and durable shrubs bring colour to shady corners of the garden. Another name for plant function. Hosts – herbaceous perennials, rhizome – cropped, compact. Some types of plants grow under the ground. The foliage is dense, this allows you to transfer dry periods. Surface – corrugated or smooth, wavy, with a waxy coating or "metallic" sheen. Shape – round, narrow, heart-shaped. 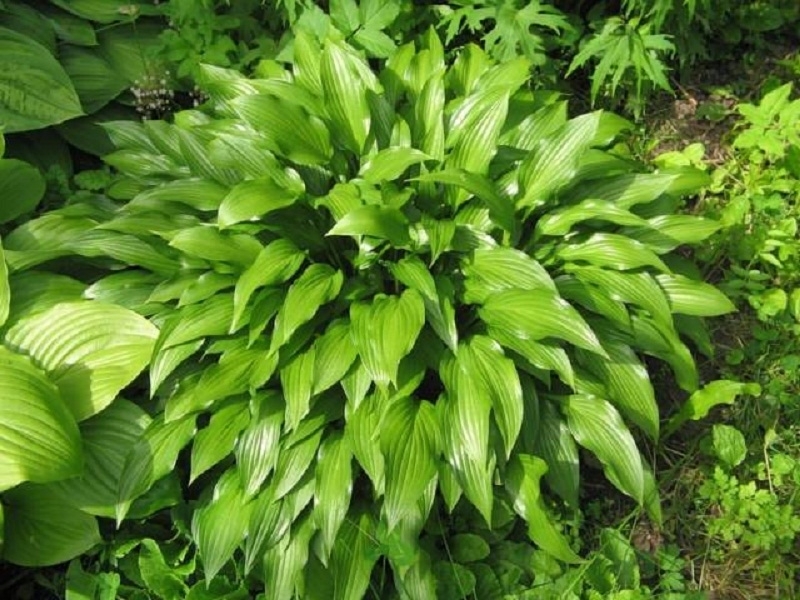 There are varieties with small leaf blades, in others it can reach up to 35 cm in length. Host in landscape design looks sleek and elegant, it complements the elegant floral arrangements. The benefits of plants in, it can grow well and grow in almost any conditions. 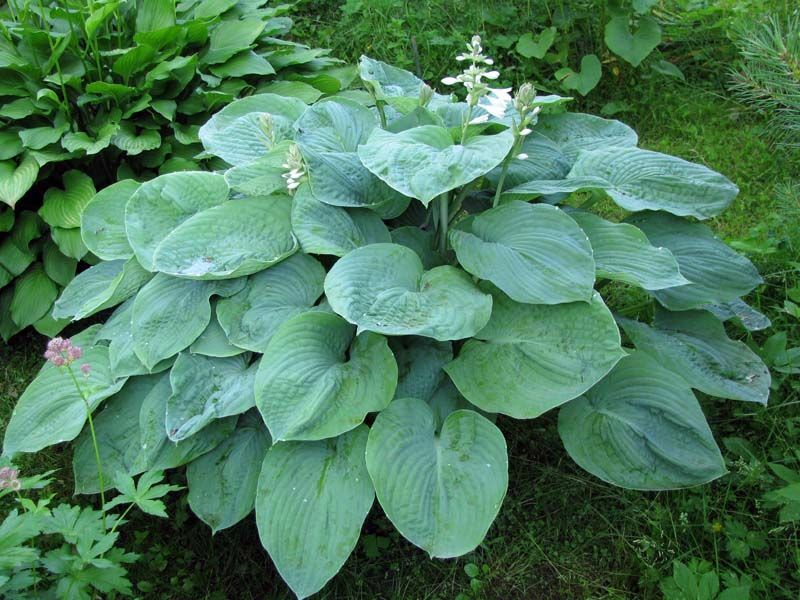 Perennials-perennials are able to maintain the decorative quality for 25 years without a transplant. The leaves are popular with arrangers bouquets, if you create any floral arrangements. The plant is divided into types depending on the height. Low (to 20 cm) groundcover varieties are excellent for rocky slopes, rockeries and shady corners of the garden landscape. Varieties of height up to 30 cm – container gardening, they can decorate the borders and mixborders. The backdrop for the flower arrangements will speak plants to 45 cm in height. The host can act as a "carpet" for lilies and gladioli, delphinium. Garden paths and ponds will draw the bushes to 60 cm. The highest sample hosts look spectacular in single crop on large areas. The colours of PPE, Golden or blue leaves bring fresh colors to the palette of the garden. 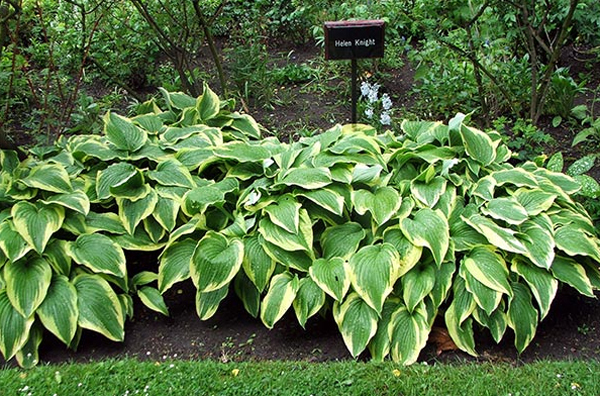 Breeders have created two- tri-colored Hosta, varieties with wavy edge. Another feature of the plant a slow-building mass, decorative fully manifested only in the fourth year, and the full flourishing in the eighth or tenth. The foliage is each year becoming more elaborate and a little, unassuming bushes are transformed into "Queens garden". For the creation of landscape compositions, you should consider several points. Host with solid sheets serves as a background for astilbe, peonies, dicentra, ferns, barvinkiv, styloid Phlox, Mac, forget-me-nots, rhododendron. 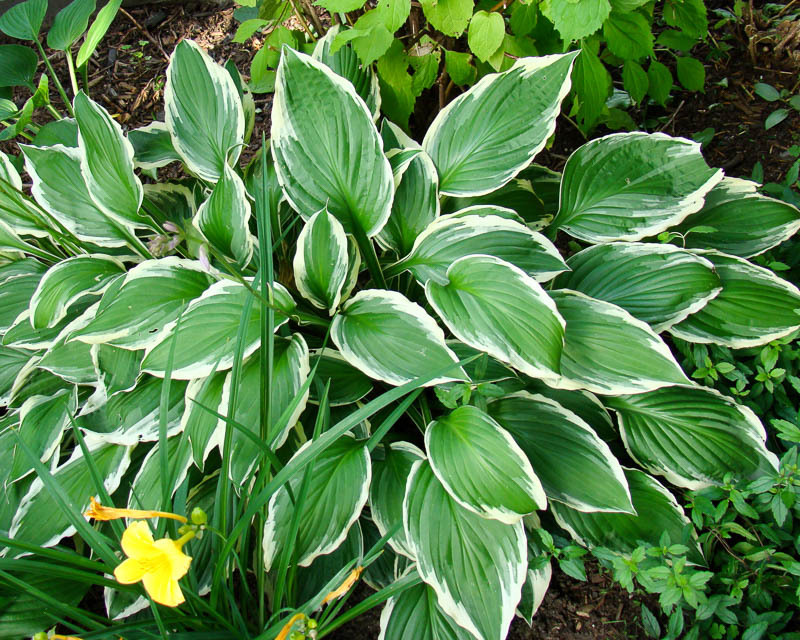 For single planting uses plants with two-tone and tri-color leaves. Colorful and lush bushes, "placed" in the garden, resemble large vases with bouquets, they are amazing and self-sufficient. To enhance the beauty and residentsthe hosts will help ornamental varieties of conifers, for example, juniper. The vertical emphasis of the whole composition will give Solomon's seal, phloxes and daylilies, perfection – cereals: the reed grasses and miscanthus. For growing hosts best suited to the area with a neutral slightly acidic soil, shaded in the afternoon. The plant does not like stagnant water, the soil should be well drained, with lots of earthworms, saturating it with oxygen. 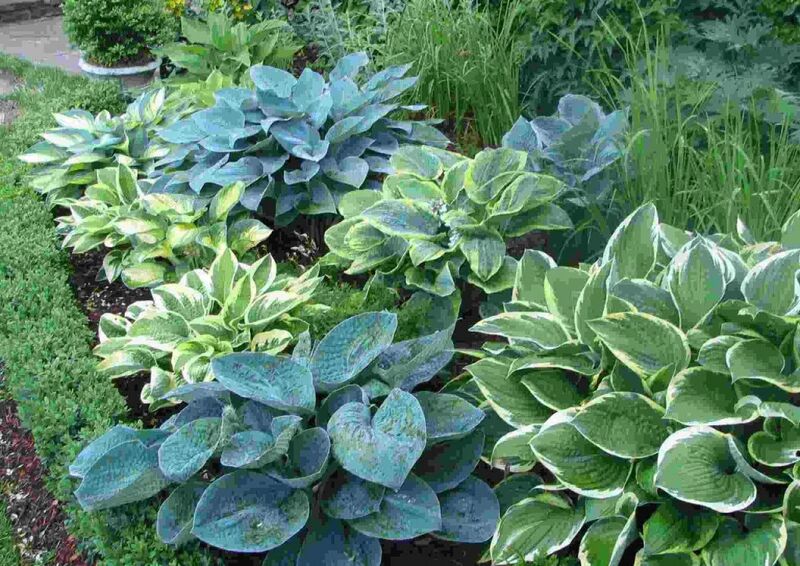 Shadow prefer hosts with blue and grey shades, bright areas are ideal for two- and tri-color varieties, with yellow, Golden and white leaves. Plants resistant to frost, additional shelters do not require. The plant is planted in a permanent place in the spring or early autumn, in the future, fertilize it with organic fertilizers. Before beginning the procedure of land you need to select all the weeds, add in the planting hole with fertile land, rotted manure, humus, mineral fertilizers. Formed into a mound in the hole and place the roots of the hosts, long can be cut. The area should be in shade or partial shade. After planting, watered host, the ground mulch or peat moss-sphagnum. Consider, the Bush grows strongly and leave enough space for it. Watering Hosta hold in the morning, trying not to fall on the leaves. Hosts love to grow in one place for very long. Overgrown bushes can split and transplant a new plant in the early spring and late summer. Propagation by seed is not advisable, it does not receive copies identical to the parent. Host Belokamennaya, bred in Japan. 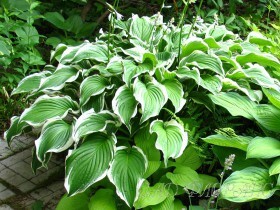 Plant medium-sized, foliage – dark green, the white border on the edge. Blooms in July or August, inflorescence lilac-purple, there are forms with white color. Host swollen originally from the North-East of China. Foliage – dark green, wavy, orbicular-cordate, flowers – drooping, lilac or purple. 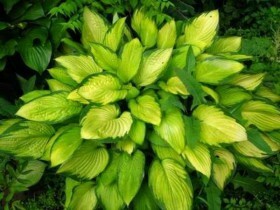 There are varieties with yellow-edged leaves. Host high, native to Japan. Scalloped edges, the upper surface of the plates – brilliant, dark green, bottom – Matt. Flowers – light purple, tubular, blooms in early summer, fruits. Host decorative, from Japan. The foliage is oval, with a white border. "Temperaure" with the purple flowers, foliage – yellow. 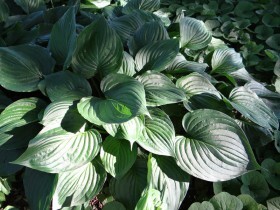 Hosta Siebold, the sort of “elegance”. Host beautiful from Korea and Japan, where it grows in the wild. The bushes and small, blooms in July or August, flowers – pale lilac. Host curly, homeland – Japan, widely distributed in Europe. 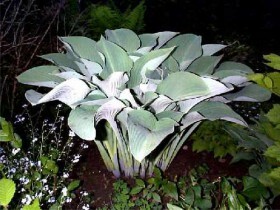 Leaf edges are wavy, color – matte, fringe – white, flowers – purple. Host lantsetolistnyj, originally from the South of Primorye, from North-East China. Green, shiny leaves, flowers – purple, with dark stripes. There are Belokamennaya kind. Host a small – dlinnokornevischnye plant with medium-sized, dark green leaves. Host ovate, growing, in China, Korea, in Japan, in the far East. The leaves are oval, green, flowers – dark-purple-blue. There are zolotistiy, dichroic and broadleaf species. "Royal Standerd" with large and fragrant flowers. Host prelolita from East Asia. Grows in wet meadows and swamps. Plants powerful, dark green, in a culture little known. Host wavy, produced in Japan. 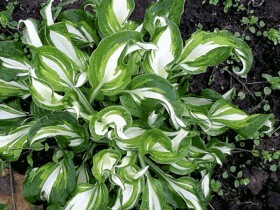 Foliage with white Central part or the alternating green and white sections, flowers – light purple. 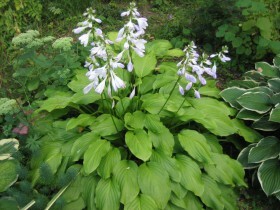 Large, broad leaves of Hosta cover the ground and suppress weed growth, adult plants don't need weeding. Disease also bypass the landing party, but they may be affected by slugs and snails, active in wet weather. It is especially important to protect young plants. The host can eat beetle or weevil to go and see elk from the nearby forest. To protect plants used beer traps, pests are harvested by hand. The plant can be affected by nematode. Transparent worms live in the plant and can contaminate neighboring, they overwinter in the roots. The only effective means in this case is the destruction of diseased specimens. Less radical method, not giving an absolute guarantee – heating plants, at rest. The roots are dug, once thawed earth, and kept them within 25 minutes in hot water at a temperature of 60 degrees. The plants are then planted in a pot, in open ground – at the end of the summer. All content on this site SamDizajner.ru written specifically for Simdesigner, copying 1 in 1 strictly prohibited. Reprint, full or partial rewriting of the article “Princess beds – host”, possible, only when you specify the full, active link to the source.